Hyaluronic acid is the key to visibly softer, smoother and more hydrated skin. 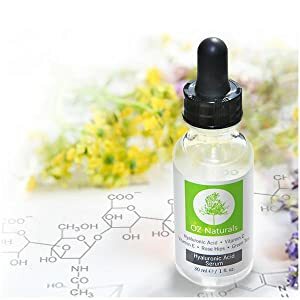 Designed for all skin types, OZNaturals Hyaluronic Acid Serum is one of the most effective, non-invasive ways to restore youthful volume and moisture. - Deeply hydrates and plumps skin. - Visibly diminishes the appearance of fine lines and wrinkles. - Gives skin a more supple and soft appearance. - Deeply moisturizes skin and balances hydration levels. - Plumps skin to minimize wrinkles. 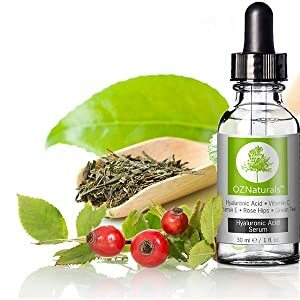 - Provides protection from damaging free radicals. - Supports the production of collagen. - High in essential fatty acids. - Natural source of antioxidants.